Several Eastern states are among 25 which already allow some form of medicinal marijuana; none in the region have approved the drug for recreational use. Under the Massachusetts proposal, residents age 21 and older would be able to carry one ounce of marijuana, keep 10 ounces at home and grow six plants. Supporters surmise that “yes” votes in New England will influence other East Coast states to move in the same direction which could someday result in an end to federal prohibitions on cannabis. Observers note that if the "yeas" prevail, a tangle of regulatory and law enforcement issues is sure to follow. 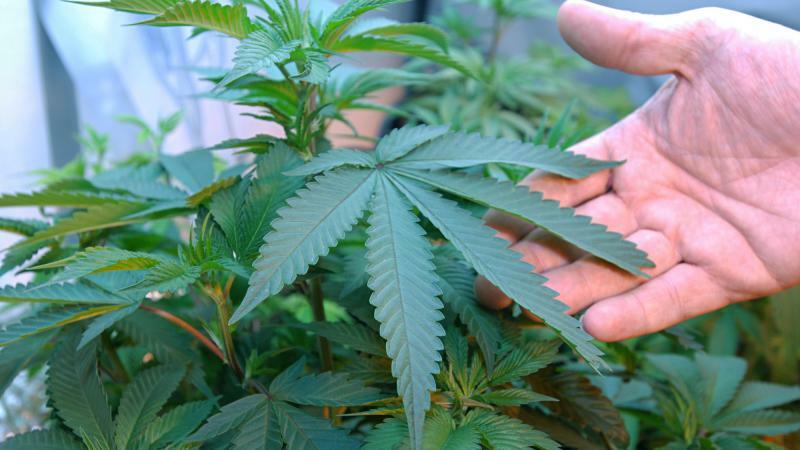 Some believe New York's fledgling medical marijuana program could be severely impacted. Rensselaer County Sheriff Pat Russo tells the Times Union he would increase patrols where his county's line runs along the Massachusetts border and on roadways between the two states. Scott Gianatti, founder of the New York City-based Cannabis and Hemp Association, cautions it will take time for a roll-out should Massachusetts voters approve: "I don't anticipate Massachusetts actually being open for business for another 18 to 24 months, so there's a lot of time for New York's medical program to grow and expand, especially when you consider the fact that, in less than a year's time, they've already made some changes to the regulations, such as adding conditions, allowing for delivery, doubling the amount of registered organizations, this is all happening right now, so I think that there's plenty of time for New York's medical program to grow and expand before that actually happens. And also for true medical patients, meaning those people who would use cannabis medically and only medically, otherwise they wouldn't use it at all, I don't see them traveling to Massachusetts neccessarily to go look for recreational cannabis." Chris Alexander is a policy coordinator with the New York Policy Office of the Drug Policy Alliance, which focuses on marijuana reform in New York. He predicts the Bay State will set several precedents. 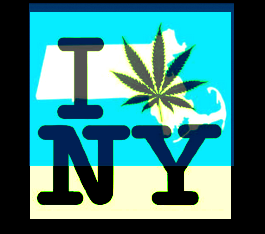 "The Massachusetts border an hour away from Albany, and just the impact that that will have, the challenges that will come up from New York having to deal with interstate commerce and New Yorkers leaving the state to access recreational marijuana. So it gives legislators an opportunity to see firsthand how regulations can work. Massachusetts in observing and studying legalization, sent some of their elected??? to Colorado. I think that's something that we should do here as well. You know, as a Northeastern state moves, and it's no longer the west coast leading this movement, I think that'll be a very significant change in the way our legislators look at this issue." At least one legislator already anticipates change: Richard Gottried, who chairs the health committee in the New York State Assembly, doesn't see recreational marijuana undercutting medical marijuana. "Most New Yorkers support making marijuana available for adults on a taxed and regulated basis similar to alcohol, that's my view. I think if Massachusetts voters approve that next week, that will help to raise the visibility of the issue, raise the sense of its being achievable and will help move the issue forward in New York. As public acceptance of marijuana for recreational use by adults moves forward, I think that will help make the case that the medical use should certainly be simplified. Ironically, most medical marijuana products don't get anybody high and have really no recreational use, so the tightness of New York's system is really uncalled for. Medical use and adult recreational use are very different topics. Many people have a hard time separating them of course. And I really do think that if Massachusetts moves forward with recreational use, that will help bring the day sooner when New York will do the same, and I think that would be a good thing." Leading investment bank Cowen and Company released an extensive report on the cannabis industry in September, suggesting the recreational market in the US could grow to $50 billion by 2026. Such growth would be predicated on federal legalization. The Cannabis and Hemp Association has opened a chapter upstate. Billing itself as New York City's leading voice for cannabis and hemp advocacy and industry, the group met last week to discuss the current state of the medical marijuana industry and its future possibilities. The event marked the launch of the CHA Albany chapter. After years of debate, planning and fierce competition for coveted licenses, the medical marijuana era has arrived in New York. One of the companies, Etain, held an open house to show off its facility. WAMC’s North Country Bureau Chief Pat Bradley went along. 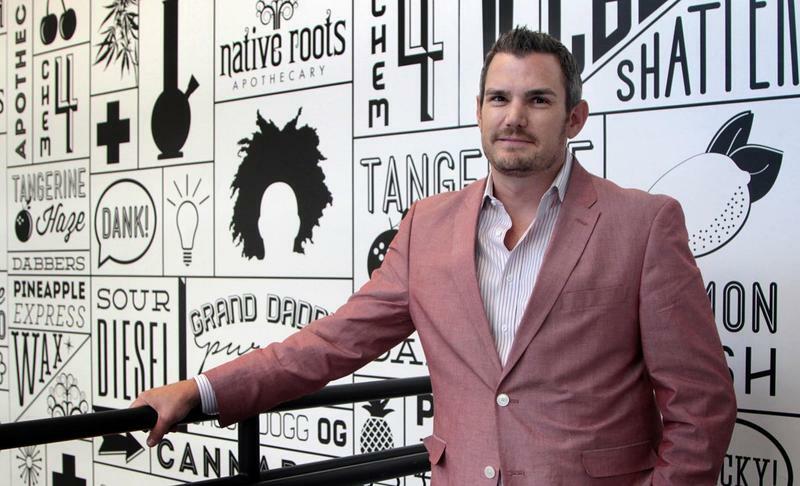 The legalization of recreational marijuana in Colorado almost three years ago has given way to an industry of dispensaries, including Native Roots, the largest marijuana chain and license holder in the state. Here & Now’s Jeremy Hobson met with owner and CEO Josh Ginsberg about how he has seen the industry evolve, and the challenges he continues to face under burdensome regulations. A federal appeals court has upheld the government's ban on the sale of guns to medical marijuana card holders. The 9th U.S. Circuit Court of Appeals in California said Wednesday the ban does not violate the 2nd Amendment. It was a long road to the first legal medical marijuana harvest in New York this week.